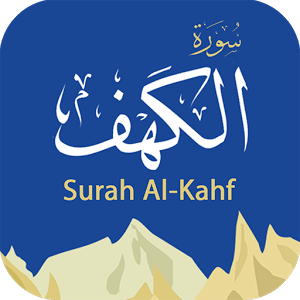 Ever wondered why Prophet Muhammad(SAW) asked us to recite Surah Al-Kahf every Friday? Its the story of young men who lived in a disbelieving town, so they decided to migrate for the sake of Allah and run away. -Allah rewards them with mercy in the cave and protection from the sun – They woke up and found the entire village believers. A story of a man whom Allah blessed with two beautiful gardens, but the man forgot to thank the One who blessed him with everything and he even dared to doubt Allah regarding the afterlife.So His garden was destroyed – He regretted ,but was too late and his regret did not beneﬁt him . Musa(AS) said:Me…,but Allah revealed to him that there’s someone who Knows more than him.Musa(AS) traveled to the man and learnt how the Divine Wisdom can sometimes be hidden in matters which we perceive as bad. MORAL : TRIAL OF KNOWLEDGE. Its a story of the great King that was given knowledge and power and was going around the world,helping people and spreading all that’s good.He was able to overcome the problem of Yajooj-Majooj and build a massive dam with the help of people whom he could not even understand. Behold! We said to the angels “Bow down to Adam”: they bowed down except Iblis. He was one of the Jinns, and he broke the Command of his Lord. Will ye then take him and his progeny as protectors rather than Me? And they are enemies to you! Evil would be the exchange for the wrongdoers! Now let us see what’s the relationship between Surah Al-Kahf and the Dajjal (Anti-Christ)? Trial of with his wealth. .
***He’ll control huge parts of the Earth.